Our research group is concerned with the development and application of the concepts and techniques of density functional theory to problems of chemical interest. Current studies focus on the application of density functional theory to environmental chemistry. In collaboration with scientists at the US Environmental Protection Agency, we are calculating gas phase thermo/kinetic properties of mercury and mercury containing compounds. We are also employing computational tools to elucidate the chemical processes that occur in our atmosphere. One project involves the determination of the 1-dimensional potential surface (PES) for the reaction of the OH radical with MPAN (methacryloylperoxynitrate) to product HAC (hydroxy acetone) and MAE (methacrylic acid epoxide). The resulting PES was used in a master equation solver to estimate the total rate constant for the reaction and to determine product yileds. We are using computational tools to explore the OH initiated oxidation of alkenes in the atmosphere under both low and high NOx conditions. 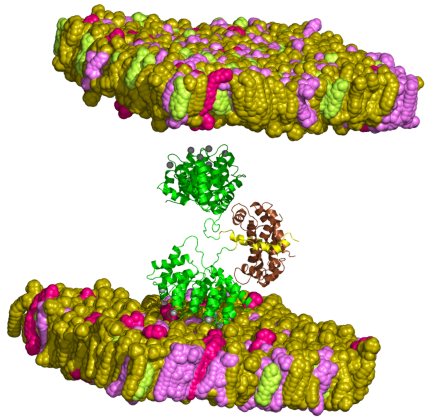 We are also involved in using molecular dynamics to study protein-membrane interactions. A recent project involved the interaction of the binary complex of human tissue factor and factor VIIa with a POPC/POPS lipid bilayer. Currently, in collaboration with Dr. Yumin Li, we are investigating the interaction of the tetramer annexin A2/S100A(10/11) with a POPC/POPS/PI(4,5)P2/Cholesterol membrane. Multigenerational Theoretical Study of Isoprene Peroxy Radical 1-5 Hydrogen Shift Reactions that Regenerate HOx Radicals and Produce Highly Oxidized Molecules, I.R. Piletic, R. Howell, L.J. Bartolotti, T. Kleindienst, S.M. Kaushik, and E.O. Edney, J. Phys. Chem. A, 123, 906-919 (2019). Harmonizing accuracy and efficiency: A pragmatic approach to fragmentation of large molecules, S. Khire, L. Bartolotta, and S. Gadre, J. Chem. Phys., 149, 064112(1-8) (2018). Noncovalent Interactions Underlying Binary Mixtures of Amino Acid based Ionic Liquids: Insights from Theory, S.S. Rao, L.J. Bartolotti and S.P. Gejji, Phys. Chem. Chem. Phys., 19, 29561-29582 (2017). Barrierless Reactions with Loose Transition States Govern the Yields and Lifetimes of Organic Nitrates Derived from Isoprene I. Piletic, E. Edney, L. Bartolotti, J. Phys. Chem A, 121, 8306-8321 (2017). Glycoconjugated Site-selective DNA-Methylating Agent Targeting Glucose Transporters on Glioma Cells, M.K. Buchanan, C.N. Needham, N.E. Neill, M.C. White, C.B. Kelley, K. Mastro-Kishton, L.M. Chauvigne-Hines, T.J. Goodwin, A.L. McIver, L.J. Bartolotti, A.R. Frampton, A.J.Bourdelais and S. Varadarajan, Biochemistry, 56, 421-440 (2017). Probing Molecular Interactions in Functionalized Asymmetric Quaternary Ammonium Based Dicationic Ionic Liquids, P. Verma, L. Bartolotti, S. Gejji, J. Phys. Chem. A, 120, 7732-7744 (2016). Encaged molecules in external electric fields: a molecular 'tug-of-war', N. Gurav, S. Gejji, L. Bartolotti, and R. Pathak, J. Chem. Phys., 145, 074302,15 (2016). Utility of the Nudged Elastic Band Method in Identifying the Minimum Energy Path of an Elementary Organometallic Reaction Step, K.E. Mcpherson, L.J. Bartolotti, A.T. Morehead and A.L. Sargent, Organometallics,35, 1861-1865 (2016). The Quadrapolar Character of the Markovnikov Reaction Transition State, S. Franzen, K.H. Cochran, J. Weng, L. Bartolotti, B. Delley, Chemical Physics, 464, 46-54 (2016). Aerobic oxidation of beta-isophorone by tetraphenylporphyrin catalysts in pyridine solution, E. Burns, T. Huang, W.W. Weare, L. Bartolotti, X. Wang, J..Yao, H. Li and S. Franzen, J. Molec. Catalysis A: Chemical, 410, 110-120 (2015). N-terminal of Annexin A1 as a Secondary Membrane Binding Site, M. Donohue, L.J. 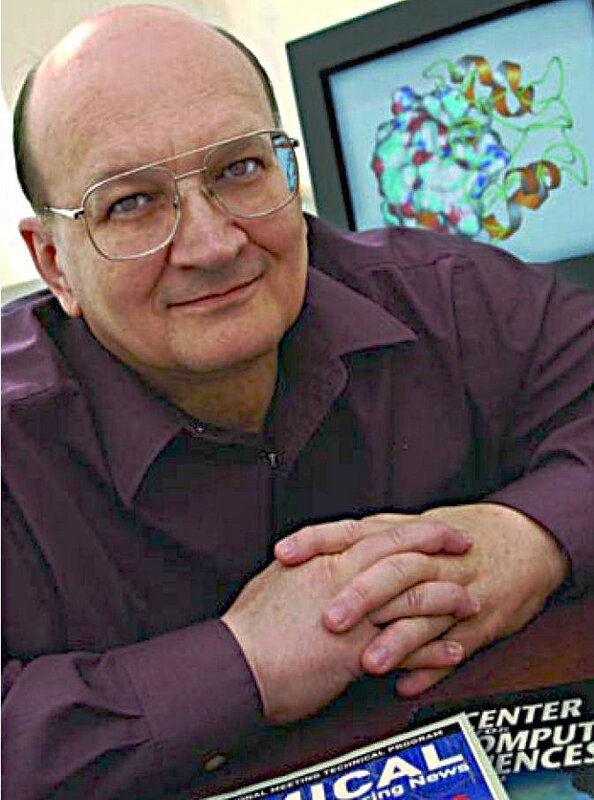 Bartolotti and Y. Li, Proteins:Structure, Function, and Bioinformatics, 82, 2936-2942 (2014). The Coupling of Tautomerization to Hydration in the Transition State on the Pyrimidine Photohydration Reaction Path, S. Franzen, B. Skalaski, L. Bartolotti and B. Delley, PhysChemChemPhys, 16, 20164-20174 (2014). Water clusters (H2O)n [n=9-20] in external electric fields: Exotic O-H stretching frequencies near breakdown,, L.J. Bartolotti, D. Rai, A.D. Kulkari, R. Pathak, and S.P. Gejji, Comp. Theor. Chem., 1044, 66-73 (2014). Photochemistry of 6-amino-2-azido, 2-amino-6-azido and 2,6-diazido analogues of purine ribonucleosides in aqueous solutions, K. Komodzinski, J. Lepczynska, Z. Gdaniec, L. Bartolotti, B. Delley, S. Franzen, and B. Skalski, Photochem. Photobiol. Sci, 13, 563-573 (2014). A Brief Overview of Antimicrobial Peptides Containing Unnatural Amino Acids and Ligand-Based Approaches for Peptide Ligands, J.B. Bhonsle, T. Clark, L. Bartolotti and R.P. Hicks, Curr. Top. Med. Chem., 13, 3205-3224 (2013). Synthesis, Structure, Photophysics, and a DFT Study of Phosphorescent C*N^N- and C^N^N-Coordinated Platinum Complexes, C. Harris, D. Vezzu, L. Bartolotti, P. Boyle and S. Huo, Inorg. Chem., 52, 11711-11722 (2013). A Computational Study of Acid Catalyzed Aerosol Reactions of Atmospherically Relevant Epoxides, I.R. Piletic, E.O. Edney and L.J. Bartolotti, Phys. Chem. Chem. Phys., 15, 18065-18076 (2013). Epoxide as a Precursor to Secondary Organic Aerosol Formation from Isoprene Photooxidation in the Presence of Nitrogen Oxides, Ying-Hsuan Lin, H. Zhang, H.O.T. Pye, W.J. Marth, Z. Zhang, S. Park, M.S Arashiro, T. Cui, S.H. Budisulistiorini, K.G. Sexton, W.G. Vizuete, Y. Xie, D.J. Luecken, I.R. Piletic, E.O. Edney, L.J. Bartolotti, A. Gold, J.D. Surratt, Proc. Natl. Acad. Sci. Proc. Natl. Acad. Sci., 110, 6718-6723 (2013). The application of DOSYNMR and molecular dynamics simulations to explore the mechanism(s) ofmicelle binding of antimicrobial peptides containing unnatural amino acids, T.D. Clark, L. Bartolotti and R.P. Hicks, Biopolymers, 99, 548-561 (2013). A DFT Study of the Affinity of Lanthanide and Actinide Ions for Sulfur-donor and Nitrogen-donor Ligands in Aqueous Solution, R.D. Hancock and L.J. Bartolotti, Inorganica Chimica Acta., 396, 101-107 (2013). A DFT analysis of the effect of chelate ring size on metal ion selectivity in complexes of polyamine ligands, R.D. Hancock and L.J. Bartolotti, Polyhedron, 52, 284-293 (2013). Structuring and destructuring effects along a pathway toward formation of zwitterionic glycine�(H 2O) 2 complex: Many body analysis of clusters and molecular electrostatic potential investigations, A.D. Kulkarni, D. Rai, S.P. Gejji, L.J. Bartolotti and R.K. Pathak, Int. J. Quant. Chem., 113, 1325-1332 (2013).